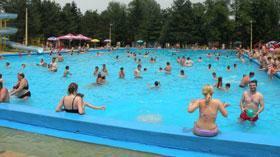 Last weekend, the swimming pools at the Banja Vrujci opened their doors for the visitors. Before the summer season starts, the prices and the opening hours are: - Opening hours hotel Vrujci pools are from 8 am to 18 pm, at the, Chaise and umbrellas are free of charge. 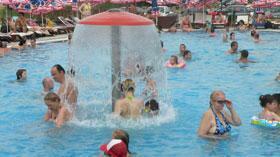 - Opening hours in The First New Spa pools are from 9 am to 18 pm, but for now only 4 pools are operational. Ticket prices at The First New Spa before summer season is 300 dinars and the price includes an easy chair and an umbrella.